Published to extraordinary praise, this provocative international bestseller details the story of IBM's strategic alliance with Nazi Germany. IBM and the Holocaust provides a chilling investigation into corporate complicity, and the atrocities witnessed raise startling questions that throw IBM's wartime ethics into serious doubt. 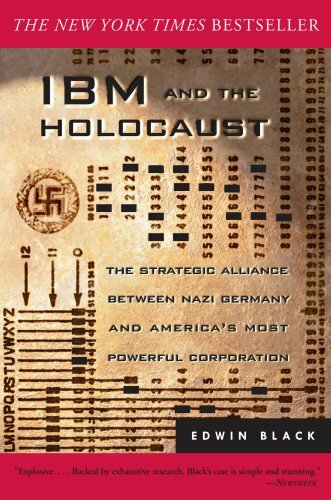 Edwin Black's monumental research exposes how IBM and its subsidiaries helped create enablling technologies for the Nazis, step-by-step, from the identification and cataloging programs of the 1930s to the selections of the 1940s.